Update: These days working at Collabora Multimedia the world leaders in GStreamer consulting. or ‘Ines of my soul/Ines del alma mia’ as the book is called in English/Spanish, made it onto my reading list as I was looking for something to read at the Oslo airport yesterday morning. Always wanted to read something by Isabel Allende and this novel based on the colonisation of Chile was an interesting debut for me. Part of me love well done historic novels, another part of me tend to get a little saddened based on what is lost. That said I am no apologist, history is as the name implies history and while we still have to deal with the consequences of history today, there is little justice to be found trying to correct the past. Its better to spend energy trying to fix the issues of today than those of the past, although of course a lot of current problems have historic roots. Anyway back to the book, it is written in the form of a self biography of Ines Suarez, a woman who played a key part in the establishment of Chile. It was nice to read a book with such a strong female character who maybe apart from a complete lack of doubt, seemed very believable in her ambitions, desires and dreams. I am sure the real Ines Suarez would be pretty happy about how she is depicted. Dealing with controversial parts of history, such as the colonial era is hard, but I think the book manages it pretty well. The books shows that as always, war is a dirty game and no matter how good your intentions are its next to impossible to come out of the endavour with clean hands. I definitely recommend reading this book to others. I noticed on the semi official Playstation 3 blog that the upcoming 1.80 firmware will have DLNA support. This is great news as it means you will be able to share and exchange media between your Elisa system and your PS3. Supporting Intel ViiV and DLNA was something I pushed for in Elisa since day one. Thanks to the great work that has been going into Coherence ,the Python uPnP framework we are using, Elisa has very good support for these technologies already and we will of course make sure it will become even better as time goes by. just announced collaboration with the Ubuntu community to create a Ubuntu Media center edition based on Elisa. As I build my own mediacenter solution at home over the next few weeks I will probably try to get involved in that effort myself actually. After a lot of back and forth I finally got Linux installed on my PS3. Ended up installing Yellowdog Linux. Not sure how much I will be using it though due to the lack of OpenGL support and access to the video card. Would have been nice to run Elisa on it though, but I guess once we get around to doing a DirectFB backend for pigment. Linux on the PS3 feels a little ‘raw’ due to the graphics issue, and while the Sony people I talked to about it put the blame on NVidia for refusing them to make the GPU available in the hypervisor I think the value for Sony in having people being able to learn how to program for the PS3 under Linux should be big enough to do the needed legwork to get the GPU available with OpenGL support. I could see people even using this box as their primary desktop machine in such a case. Suprised me also to see that YDL ships GStreamer 0.10.4 on the box, which is rather old at this point. A brand new distro like YDL 5.0 should have been able to update this. My next target is to try and compile the Fluendo plugins on the box to see how they perform. The combination of 64-bit and BigEndian might of course reveal some more bugs even. Got myself two WinTV NOVA-T-500 cards today. I gave one of them to Philippe so he could come through on his promise to get DVB support into Elisa if I got him such a card. The card is a nice dual tuner one, so its perfect for also making sure we can support watching one program and recording another. On the topic of donating hardware to people. I have already promised to pitch in on the Delta 44 card that Jono is buying for Tim which I think should also help us resolve the issues that Davyd Madeley reported in his latest blog entry regarding his Alesis io|2 card with GStreamer and Jokosher. Due to being asked about it I checked the number of subscribers today to gstreamer-devel mailing list. Turns out we have 723 people subscribed to the list at this point. I don’t know if that is a lot of not as I don’t admin that many other mailing lists, but it seems a respectable number for a development mailing list for a fairly low level library. regard today with the new ‘queue2’ element commited to CVS. While it doesn’t take us all the way there it do improve upon the current situation a lot. This work combined with Wim’s recent code magic to improve RTSP support should take us a big step forward towards being a very good library for doing network streaming clients. That the RTP work has been highly anticipated seems obvious based on the huge number of questions about RTP support we get onto gstreamer-devel mailing list. The same goes for the windows support which seems to have a lot of people testing it out. If only we could get more people onto testing our MacOSX support also to make sure it gets rock solid. Hopefully when we get a new release of gst-plugins-good out with both the MacOSX and Windows support included it will get us more users also on the Mac platform. Getting a new piece of software stable and widely usable is hard and one quickly realize that working on the developers machines is not the same as working for everyone else. 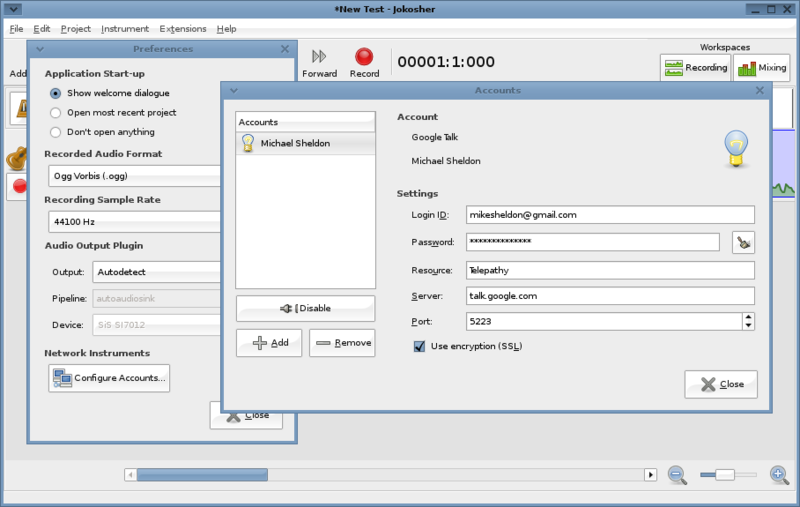 Which is was nice to see this blog entry by Niels Kjøller Hansen where he talks about latest version of Jokosher working for him. Still a lot of work remaining for Michael, Laszla, Jono and the rest of the crew before Jokosher has reached its full potential. I guess there are two major items on the todo going forward as I see it which need being taken care of, one being support for more advanced multichannel soundcards for recording, the second being making sure all the needed GStreamer plugins are in gst-plugins-good so distributions can package them easily. Today a few of the needed Jokosher plugins are in CVS of plugins-bad which of course makes it harder for people to get everything they want/need. release their sales statistics recently. The most interesting point is probably that Linux sales accounted for as much as 11% of their total sales. I think that is a high enough number to make doing a linux port interestinng, especially for smaller game publishers. The nice guys at Oddlabs also released the terrain generation engine they made for Tribal Trouble under the GPL. I also came accross this recent Ryan “icculus” Gordon interview on linuxgames.com. If Linux ever becomes a mainstream games platform I think Ryan personally probably deserves something like 75% of the credit. Just discovered the photo tagging feature of facebook. It lets you click on various people/objects in your photo and facebook then tries to give you a square box centered around the object to clicked on, in other words they have some basic shape recognition stuff built in. What you usually do is mark the people who are in the picture, and if they are your friends on facebook they will be told that a new photo with themselves are online. Also the image will be added to the link with photos of the person in question on their facebook profile page. You can also tag other people’s photos, but they will have to approve your tagging before it becomes public. While simple I found it pretty nifty actually. We will hopefully be enganging in a huge EU funded project at Fluendo starting in January. If that project goes through it would be nice to see if we can add a feature like that for video’s as part of that project as collaborative editing and metadata handling is a big part of the project. Of course the technical challenges are much bigger in the context of video so it might not make the cut as it wasn’t concretely planned for in the current proposal. But no matter what the project will be a huge boost for the Pitivi project and the features we offer in Pitivi. Went to the beach on Sunday and applied the sun block I had bought the day before. My procedure for buying sun block is simple, a) it is a brand I have heard of before and b) it has a factor number between 5 and 10. This has always served me well before, but this time it didn’t work out exactly as expected. While the Hawaiian Tropic sun block did work in terms of not getting me sunburned it had a tiny side effect. It gave my body a metalic glimmer, due to containing lots of little pieces of gold glitter. So while some people might think ‘hey cool, I look like glitter spray Ken preparing for my date with glitter spray Barbie’, I instead felt like I looked like a Modern Talking wannabe. Especially since the sunblock I had put on my face made my lips look like I was using sparkling lipstick. When will venues like this one learn that ‘more sound’ is not the equivalent of ‘good sound’. is showing a very good example of how our powerful multimedia architecture is starting to let us easily tie different kinds of applications together in order to provide some really nifty combinations. 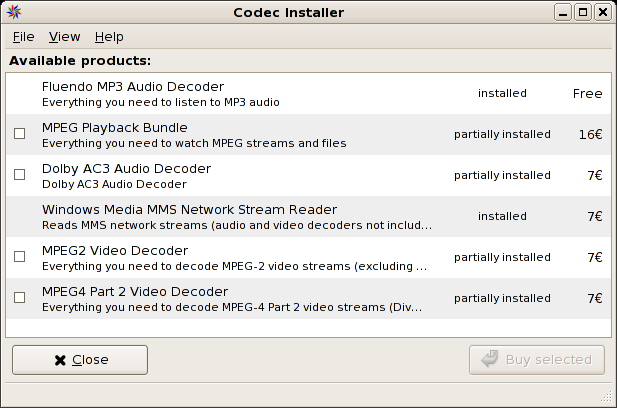 I put the Windows Media encoder plugins into the beta program yesterday and expect to put the AAC decoder in today. Hopefully they will be ready for the shop soon along with some updates to the other existing codecs. Also need to check in with Tim the current status of Codeina once he returns from UDS in Seville. Would be great to be able to use Codeina for this set of updates as the webshop software doesn’t exactly make it easy, to put it mildly.